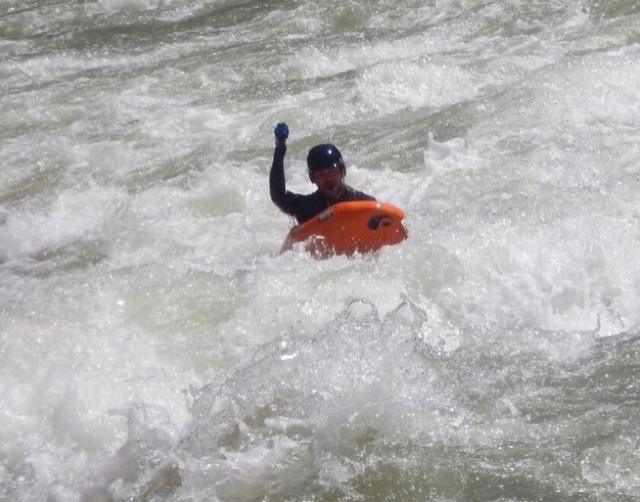 DIRTBAGGING & RIVERBOARDING ACROSS AMERICA ~ With Newest DBP Admin AsafArad | DBP MAGAZINE ONLINE The World's Best Free Whitewater Publication. On March 1st 2016 begins an epic journey – one man and his riverboard on a road trip through North America on a mission to run rivers at some of the most popular whitewater destinations on the continent. 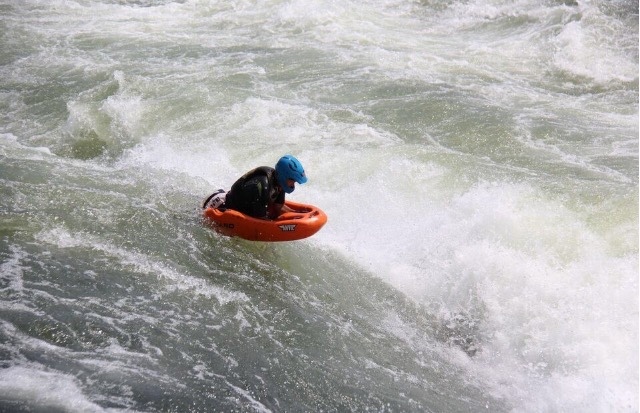 The idea is simple, but the task is ambitious; to move from one spot to another across the United States and Canada over thousands of miles – meeting up with local riverboarders and whitewater enthusiasts of all disciplines, joining them on their local river-runs, promoting the sport of Riverboarding and creating exposure and discussion regarding the development and the future of this growing trend. 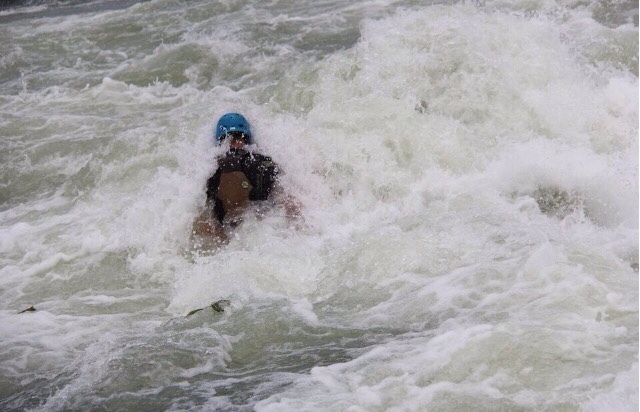 Riverboarding is an up-and-coming whitewater sport that has been developing silently in the shadows of other extreme river sports such as whitewater kayaking and rafting. 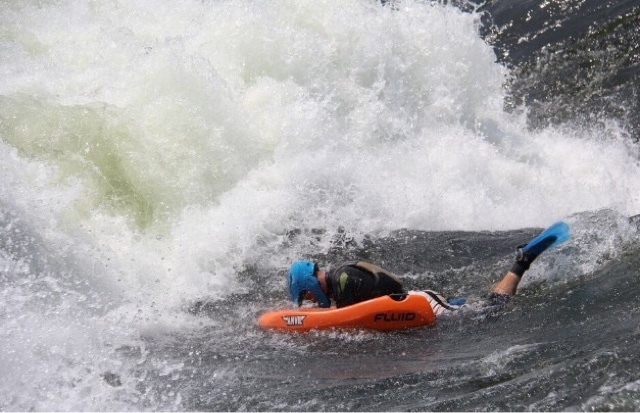 In France, to where the sport’s origins can be traced, it is known as ‘Hydrospeed’ and already holds a place among popular river sports (leagues and regular competitions), but in the past few years the sport has begun to bloom and new branches/disciplines have developed within the global community of boarders; some concentrate on competition and speed, others on challenging new rivers, yet others focus on freestyle surfing on river-waves or hucking large waterfalls. It is not only the boarders themselves that have begun to develop their own styles and preferences. 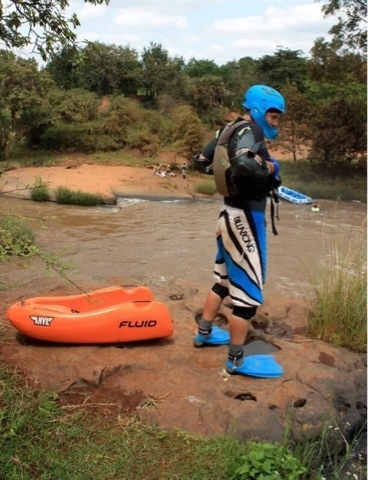 The development and production of specialized gear has also begun to pick up – mainly in terms of the boards themselves – with each design created to suit the needs of the boarder and meet the requirements for running all the different classes of rivers and rapids that can be found – from creeks to large volume. The sport is now clearly in a period of growth, and after the 2nd ever Riverboarding World Championship in Guatemala in October of 2015 it was clear that the greatest concentration of riverboarders outside of France is in North America. 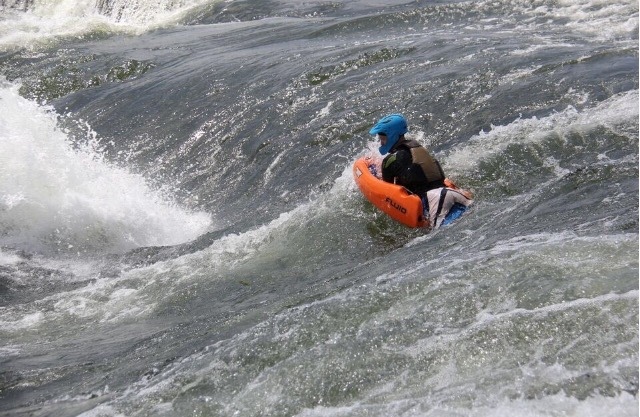 After riverboarding for many years in places like Southern Chile, Kenya, Uganda, Peru, Guatemala and Israel, Riverboarder and full-time RiverRat Asaf Arad has finally decided to follow through with a plan that has been a long time coming. Apart from the obvious personal desire to experience these rivers first-hand after many years of wanting to do so, his feeling is that the time is right and the contacts on the North American continent plenty enough to be able to take on such an adventure with the ultimate goal of continuing to strengthen the global riverboarding community and placing the sport of Riverboarding in its rightful place on the map. 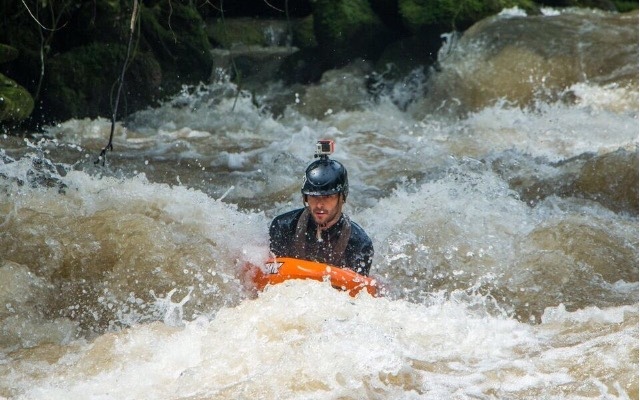 The ‘Babylon Tour’ will depend almost entirely on the help and good-will of individuals and the whitewater communities along the way (a term known as ‘boarderhood’ to those who practice the sport) – riverboarders, kayakers, rafters and the like will be the foundation and the key to making this tour a success. This is not necessarily a mission to find the biggest rapids nor the most challenging runs (though any opportunity to do so will surely be taken), but rather a road-trip focused on popular river-runs and the people that make up the North American Whitewater & Riverboarding Communities. 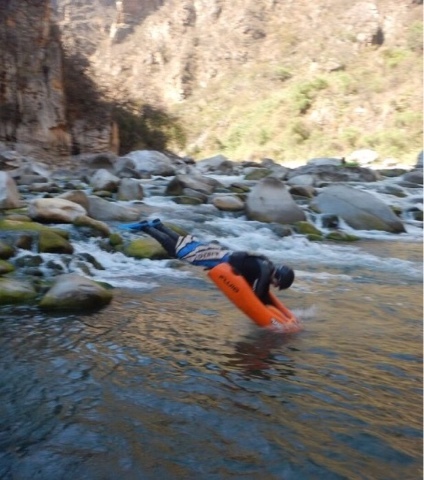 It is a chance to promote the sport around people who live and breathe the river and hopefully help in the process of making Riverboarding as popular and accessible as Kayaking or Rafting is today. Only through the assistance of other like-minded people (and those who share a passion for adventure) will Asaf manage to cover these distances and reach his objectives. He is publicly asking for help in terms of shelter, transport, organization of river-runs, sharing of contacts and information – and even financial support – in order to reach his goals and keep the tour going upon his arrival in the US. So far, the response has been very positive. People whom he has never met before have offered to open up their homes, contact lists, and even their wallets in the spirit of the tour. Sponsors such as the World Riverboarding Association & Face-Level Industries have already pledged their support and are backing the tour financially, as well as with gear and/or logistic support. The hope is that other individuals, organizations, and businesses will continue to do the same. The tour itself will be broadcast and publicized on social media – a Facebook Page, YouTube Channel, Blog on the FaceLevel Industries (FLI) website, and coverage in DBP MAGAZINE ONLINE are just some of the intended outlets. Asaf’s Instagram account under the username of ‘african.river.rat’ will also provide glimpses into the tour’s progression. An Indiegogo Crowdfunding Campaign has been activated and donations from people around the world have already begun to trickle in – with most of the funds being designated for food, travel expenses and insurance. In exchange for a financial contribution, advertising space on the media produced during the tour is being offered to large & small businesses that wish to use the tour to promote their product or service. For those who contribute, Gifts & Perks such as clothing items, stickers and discount coupons for certain products are already in the making and will soon be available. 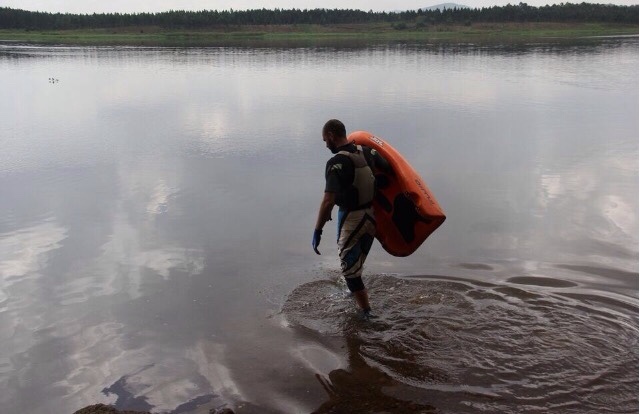 This tour will last until the winter rolls in and the rivers become too cold to swim in, so the opportunity to participate and the need for assistance is great. Let’s all gather behind this great initiative and show that no matter what vessel you choose to navigate the rivers with, the essence of the community based around whitewater is always the same – love, support, and good times both on and off the water. Regardless of whether you choose to actively participate or not, make sure to stay tuned and keep an eye out on this tour – either by “liking” the tour’s page or by checking out the updates here! I cannot wait to see you!